Perhaps it may be time to take a respite from the gravitational pull of the negative events and find comfort in some music and other matters. So we chnaged our format a bit this week to emphasise videos as we take pleasure in introducing you to a young Jamaican artiste, Xinyu Addae Lee, who brings a message to the dancehall. We also take a fresh look at the Bashy Bus Kru, that crew of young thespians, who, with UNICEF’s help are sharing a message to schools to fight HIV. Also starting this week we take a look at what the Eastern Caribbean is doing in the area of renewable energy. You’ve probably heard it said many times that the invasion of Iraq is over access to their oil supplies. So from where does, the USA get most of its oil you may ask. Take a peek. Want to hear a little of speedsters Asafa Powell’s and Usain Bolt’s thoughts? Go here. 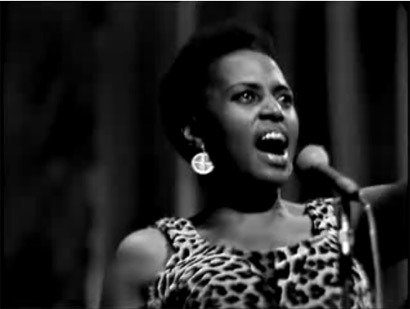 And in honor of Mandela’s 90th bithday, and for your listening pleasure, here is the magnificent Miriam Makeba’s Killimanjaro!